User switcher front-end Joomla! 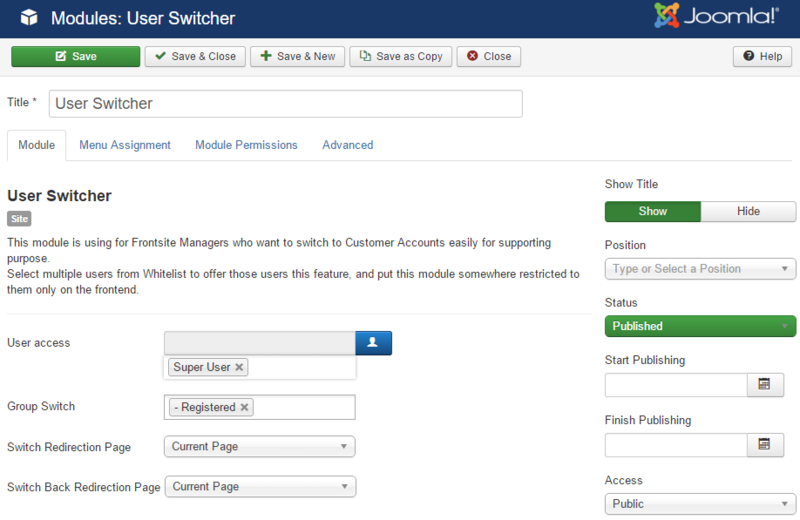 module, easily to switch to any Joomla account to take care of your customers better, switch back anytime. Restricted account to access this serious feature and restrict group which allows to switch to, you don't want an assigned user switch to a higher access level. Why this User Switcher Joomla module unique? Lightweight Joomla frontend module. We don't need a heavy component to do user switcher stuff. Easy to configure: assign switch permissions to some users/staffs, select switchable user groups, and create a module for it, that's all. Easy to use: switch to any user in switchable user groups, don't need to remember any password. Switch back anytime. No more open new browser to test other Joomla user / account. Flexible: place this User Switcher Joomla module to any Joomla template position. 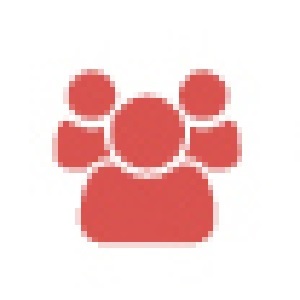 We are using it on foobla.com to switch to our customer account to support our valued customer better. It is very helpful in the case our valued customer has problem with downloads, tickets which we can't understand if we don't login into to customer account. Of course, you don't want to ask your customer username / password to login into your Joomla site.